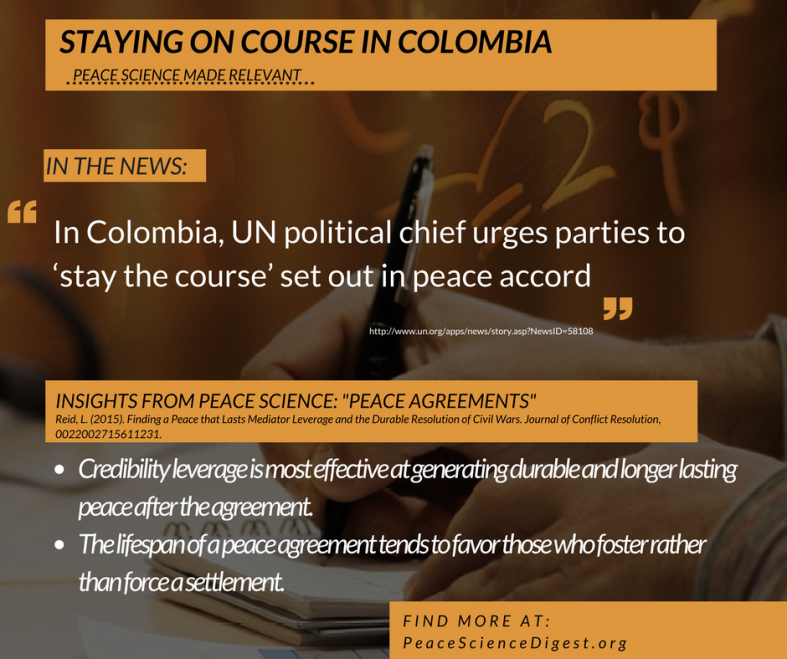 In Colombia, UN political chief urges parties to ‘stay the course’ set out in peace accord. · Credibility leverage is most effective at generating durable and longer lasting peace after the agreement. · The lifespan of a peace agreement tends to favor those who foster rather than force a settlement. Peace Science Digest Vol 1, Issue 3. “Types of mediator leverage and the strength of peace agreements”. In Colombia, UN political chief urges parties to ‘stay the course’ set out in peace accord. United Nations. 2017.